Though it was not my goal to lose weight, I have to let you in on the skinny 🙂 I started the cleanse at about 121-123 lbs. and I weighed myself this morning at 115-118lbs. – 6-8 lbs. in 2 days! I give you a range because my scale is not a digital one – it’s one of those old school needle scales that change as you come in to look closer. Of course the weight fluctuates throughout the day, but pretty impressive. I’ve been keeping the yoga to more of a restorative relaxing practice, so the weight-loss is pretty much completely due to the cleanse. I just hope the pounds don’t continue dropping off at this rate – I personally prefer some meat on my bones. Well, they were right….my milk supply has decreased dramatically, so my next 3-day supply of juices will include some specialty juices with coconut water and some nut mylks. 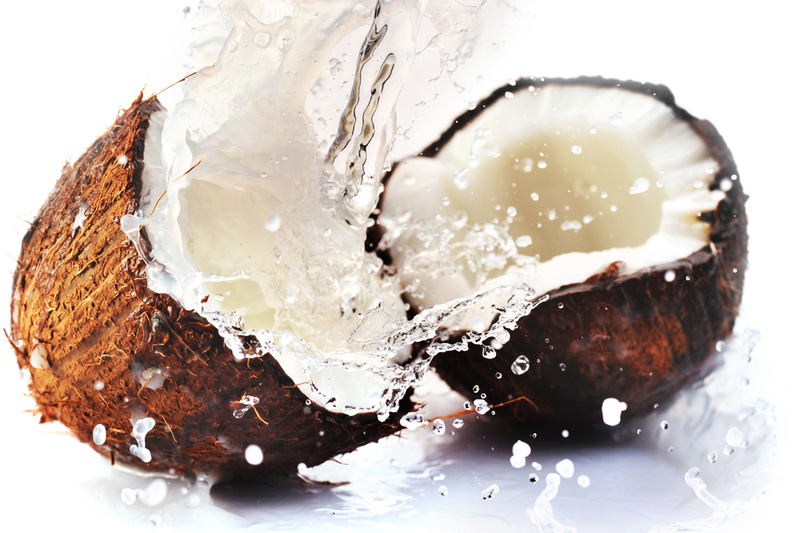 The medium chain fatty acids (MFCA) in coconuts contain lauric acid – a compound found in mother’s milk. I’m hoping it will increase my milk supply. My son is getting a good dose of yummies and avocados and hasn’t lost any weight – so no worries there. Had some cravings today, but no hunger pangs yet! Amazing…. Wish me luck for the next 7 days fam! Great blog! You have some great information.